Efstidalur farm is located on the Golden Circle, only a 1 and half hour drive from Reykjavik (see map below). 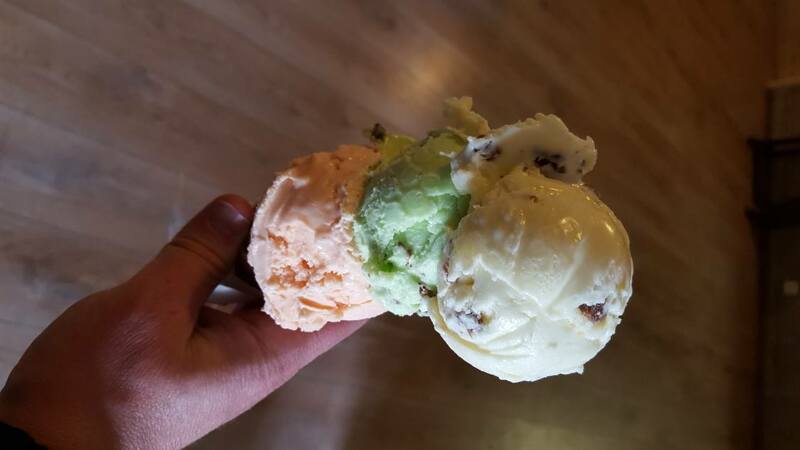 It is a fully working farm which has fantastic locally made ice cream, a great restaurant where you can watch the cows and a lovely farm hotel. I love it! Efstidalur is featured in a lot of Golden Circle tours. At least one of us has a passion for great ice cream. It has been a bit of a golden era for us here in Iceland since a few great ice cream and gelato parlors have recently opened their doors here in our hometown of Reykjavik. We espcially recommend Valdís in Reykjavik. Out in the country pickings have been slim for us ice cream lovers. You can get a great vanilla ice cream in Akureyri from the classic Brynja ice cream parlor. Some 20Km from Akureyri there is the farm Holtsel which sells its own branded locally made ice cream and sorbets. Hats of to them. 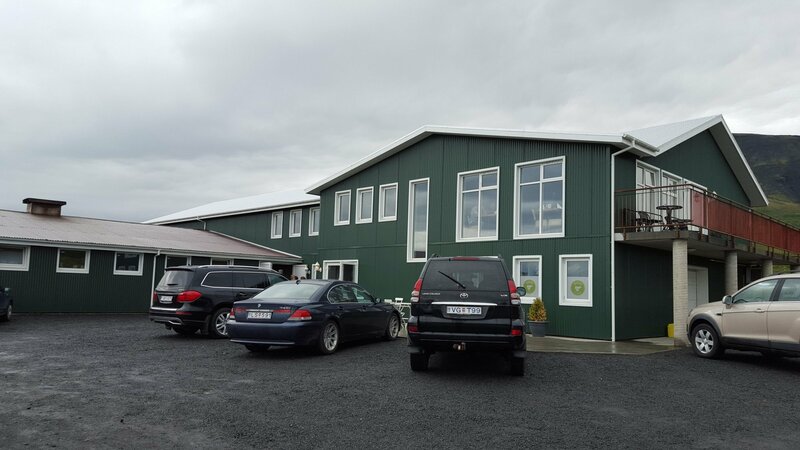 If you are traveling on the Golden Circle all you ice cream fanatics have to check out the farm at Efsti Dalur. Me and the wife found this place when we were on a road trip around the area. Efsti Dalur farm produces its own ice cream from the milk of the cows at the farm. 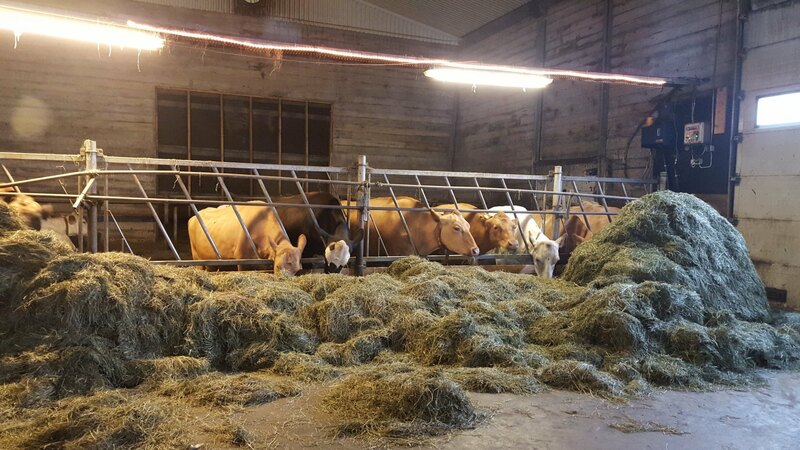 You can actually watch said cows doing their thing while you enjoy your ice cream since the restaurant is in the same building as the barn. The cows are visible through large windows. They also make the waffle cones themselves and results are quite tasty. Efsti Dalur is a perfect destination for those traveling in Iceland with children. They can get great ice cream, watch the cows do their thing and even pet the calves there. These are cows busy making milk for my ice cream. Efsti Dalur is many things. It is an ice cream parlor, a restaurant, a fully working farm and a hotel. It has a menu featuring locally produced beef. My wife took me out for dinner on my birthday and we stayed at the hotel. The beef was great and the hotel was cozy. I am happy to recommend it. 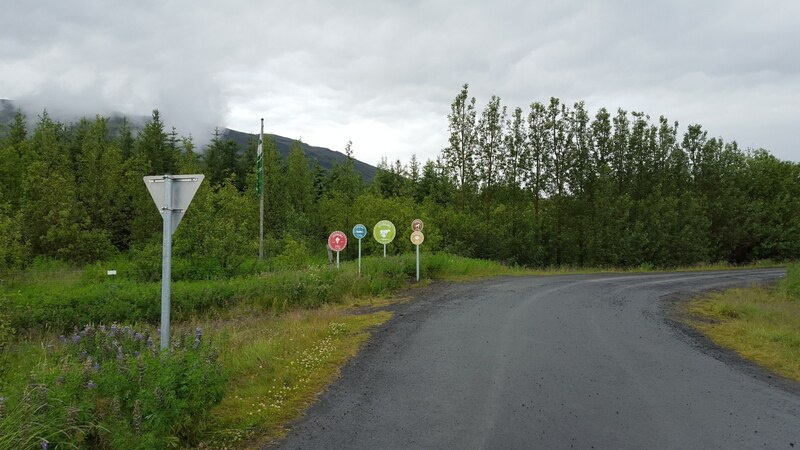 The sign for Efsti Dalur.